Folks! 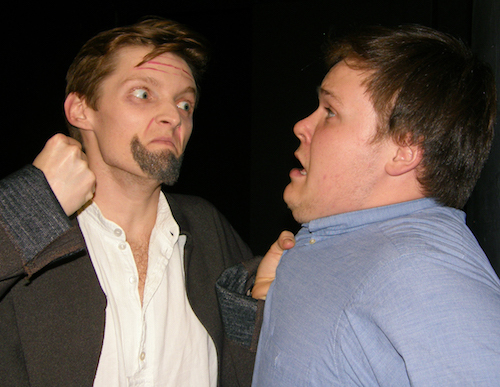 Fringe starts tomoorrow! Can you believe it! Have you entered the contest for tickets to opening day shows yet? If you haven’t go do it, it’s okay, I’ll wait here while you do. Okay, now that’s done, guess what! Here’s a chance for 5 more shows on Thursday! We’re going to keep doing this for shows playing right up until the last Friday! I know! It’s so exciting! That’s why there are so many exclamation marks! 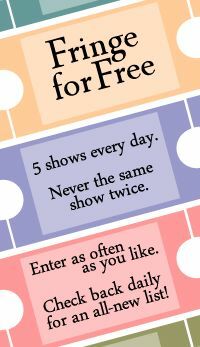 Click “Read More” for the contest rules and some infomation about the 5 shows you can win tickets to for Thursday, July 8. Doctor Who is about to face his greatest challenge: his number one fan. 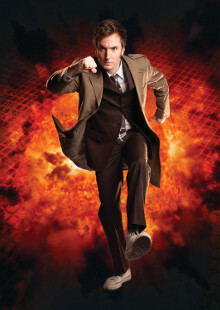 Rob Lloyd from Doctor Who: Earth Conquest (BBC America) is putting The Doctor on trial. Is Doctor Who (the television show) guilty of inciting in Rob a debilitating obsession, or has it shaped him into a well-rounded, mentally-sound member of society. After SELL-OUT seasons across Australia, New Zealand, also at the Edinburgh and Chicago Fringe Festivals, court is now in session. To be entered into the draw for a pair of tickets to the 6:00PM show on Thursday, July 6th please send an email to contests@mooneyontheatre.com with the subject line “Who, Me.” by 7pm on Wednesday, July 4th, 2017. Photo care of James Penlidis. Design by Lliam Amor. 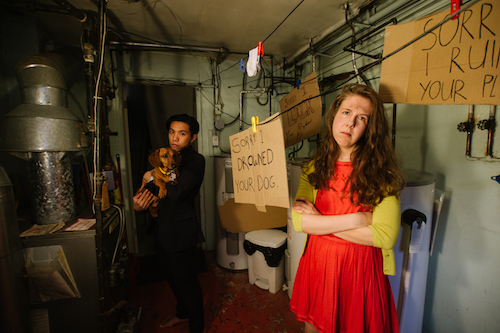 When failed actor, Madeleine, kidnaps a beloved dog she is quickly alienated from society. As a result, she must attend apology rehab to make amends with the animal—perhaps her greatest challenge yet. From part of the creative teams behind NSTF 2017 sell-out, Silk Bath, (NNNN) and Fringe 2016 hit, Rowing, (Mooney on Theatre Critics’ Pick) comes a rapid-fire dark comedy that examines who we choose to feel sorry for, and how we seldom really mean it. To be entered into the draw for a pair of tickets to the 6:00PM show on Thursday, July 6th please send an email to contests@mooneyontheatre.com with the subject line “Madeline Says Sorry” by 7pm on Wednesday, July 4th, 2017. Ever wondered what happens after we figure out time travel? Hollywood would have us think it’ll all be evil-doers and paradoxes. But imagine instead, a future where time travel has become mundane, where history is only a plaything for a populace over-saturated with media and celebrity. Where, instead of changing the massive scope of human history, we decide to just nudge a favourite performer in a different direction? Celebrity–filled, boozy, irreverent, and just a little bit gay, Bugger the Butterfly! answers Cher’s question for the ages – what would you do ‘if you could turn back time’? To be entered into the draw for a pair of tickets to the 6:30PM show on Thursday, July 6th please send an email to contests@mooneyontheatre.com with the subject line “Bugger the Butterfly” by 7pm on Wednesday, July 4th, 2017. Life’s A Betch! Can we all agree on that? Be it work, relationships or that weird rash we can’t seem to cure. How do we even get out of bed in the morning? We betch about it! 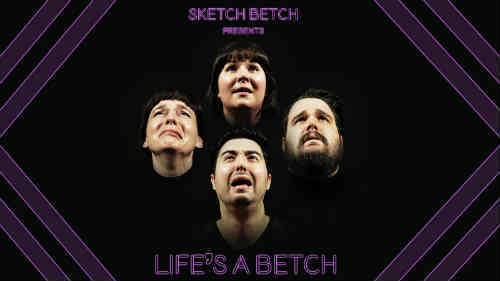 So join Sketch Betch as we bring you a brand new sketch revue, because let’s face it, we could all use a juicy little betch sesh. To be entered into the draw for a pair of tickets to the 8:45PM show on Thursday, July 6th please send an email to contests@mooneyontheatre.com with the subject line “Life’s a Betch” by 7pm on Wednesday, July 4th, 2017. Through Contemporary, Latin and Hip Hop dance forms, The “F” Word, is a powerful dance performance that explores the struggles of facing feminism. This performance features dancers from DEUCEnDIP and Rasasvada Dance Company. Founded by Samantha Schleese and Melissa Hart, SaMel Tanz is a Toronto-based contemporary dance company that is recognized for their versatility and vibrant stories of the human experience. Fusing multi-dance genres they create innovative dance works that can relate to all audiences. To be entered into the draw for a pair of tickets to the 10:30PM show on Thursday, July 6th please send an email to contests@mooneyontheatre.com with the subject line “The “F” Word” by 7pm on Wednesday, July 4th, 2017.